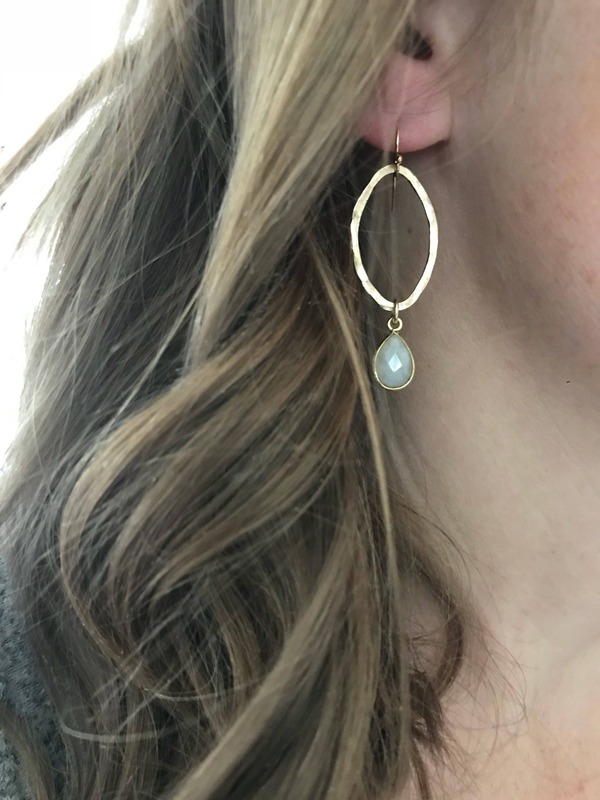 The perfect earrings for everyday wear! 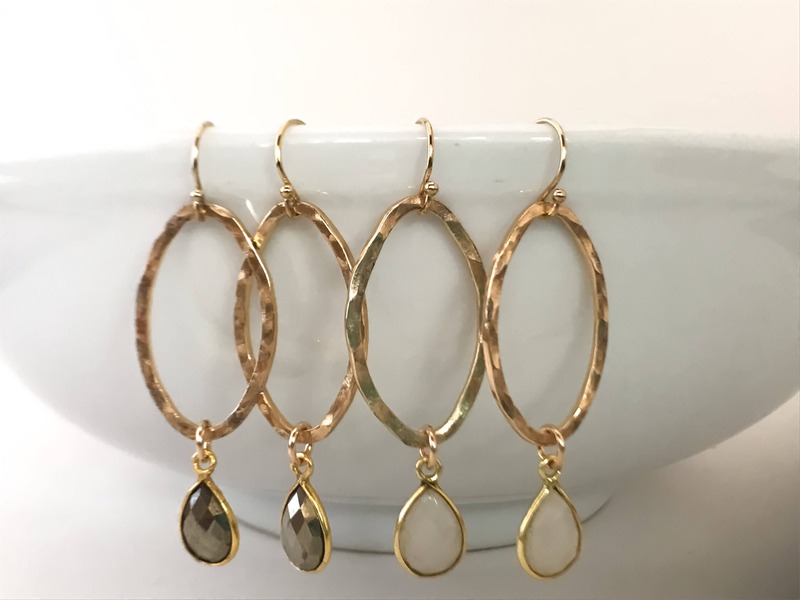 These gold oval earrings are hammered for a rustic style. 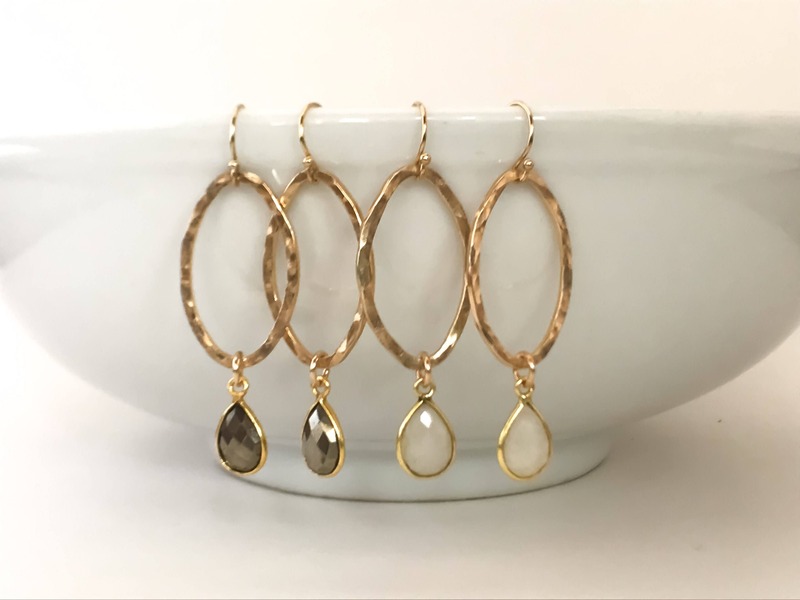 A gemstone of your choice hangs from the bottom for a touch of class. Perfectly simple. 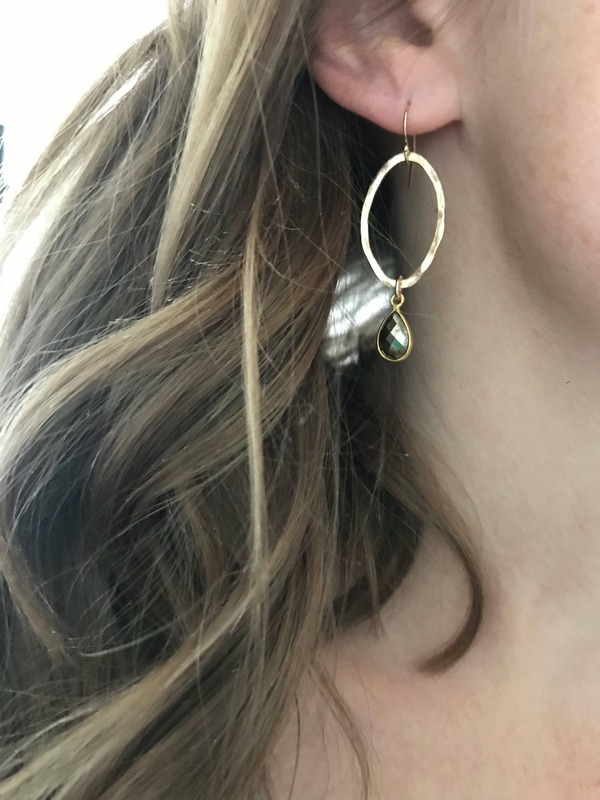 Attached to a gold filled ear wire.